Vulpia myuros. © Max Licher.SEINet.swbiodiversity.org (Accessed 5/2014). 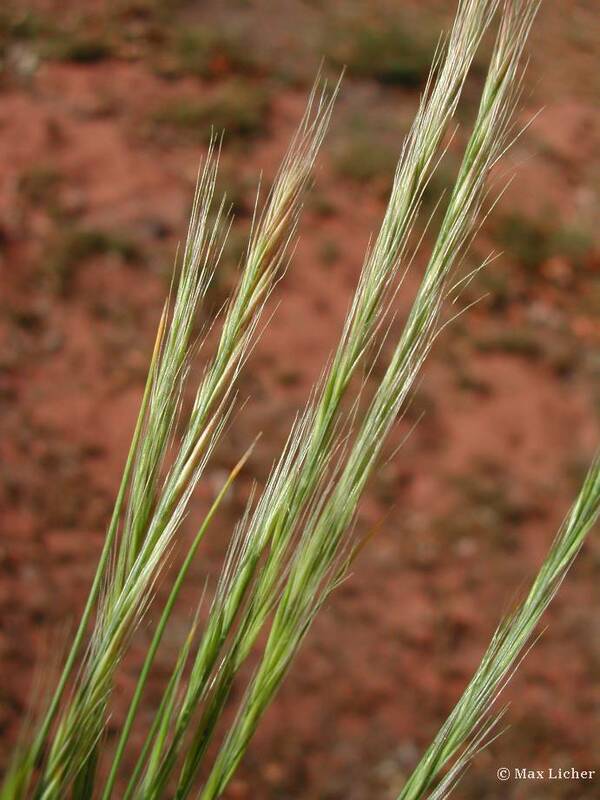 Vulpia myuros is an annual C3 grass (Waller and Lewis 1979), 10-70 cm tall, pale, wispy, solitary or tufted, roots shallow, fibrous; internodes elongate, nodes sometimes dark, stems very slender; sheaths overlapping, smooth. Leaves very fine, edges often inrolled, blades 0.1-0.3 cm wide (or less), hairy above, shorter than inflorescence, basal leaves much shorter than flowering stems. Flower spikelets 3-7 flowered, 0.6-1.2 cm long, linear, remaining closed, glumes very unequal, shorter than spikelet, lemmas with awns 0.8-2.2 cm, about twice as long as lemma, 1 dark anther at top of elongate grain; inflorescence narrow, contracted, 3-25 cm long, tip nodding, branches appressed, appearing pale and hairy from long-awned spikelets; May-July; mostly self pollinating. Habitat: Open uplands, edges, dry sandy soil pH 5.9-7.6 tolerant of drought, intolerant of fire, salt, shade (USDA, NRCS 2010).